Teams live and work with the Nahua people near the market town of Cuetzalan. 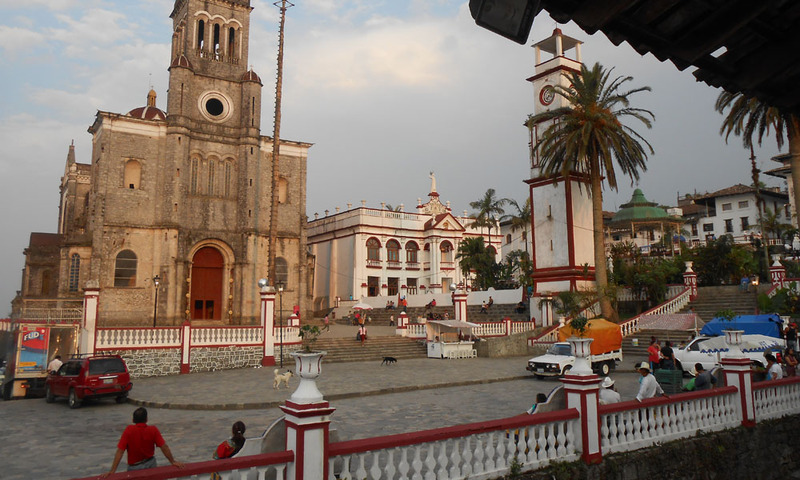 Teams travel to the nearby villages of Xiloxochico and Chicueyaco. 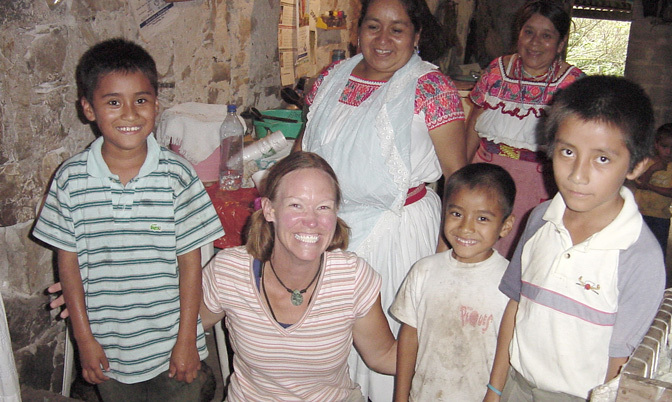 Xperitas partners with a women’s cooperative and groups stay at their eco-lodge. Altitude: 2,000 - 3,000 ft.
Transportation to Site: Meet at the Puebla airport and stay one night. Transport 3 hrs to Cuetzalan. 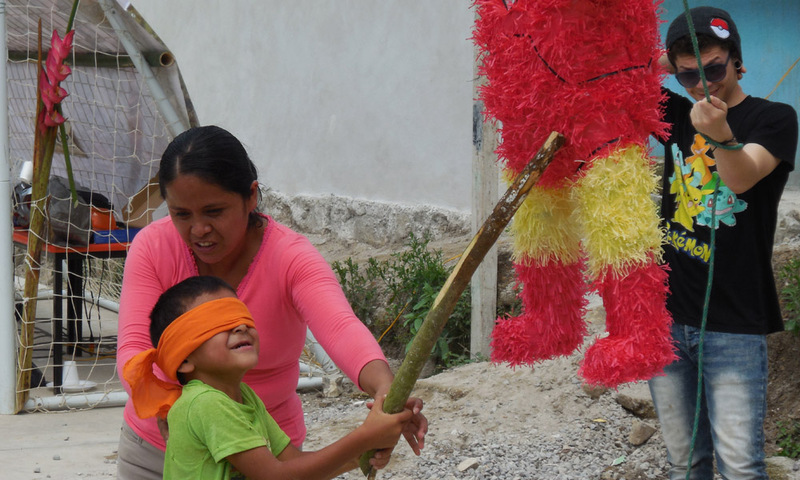 Descending from the Aztecs, the indigenous Nahua people have maintained their customs and language in the face of discrimination in their communities. In the past, Xperitas teams have worked on a variety of projects in Xiloxochico and Chicueyaco, many of which support bilingual education. Participants have worked side-by-side with parents and school leaders to build classrooms, restrooms and a playground space. Xperitas is committed to deep and intentional relationships with our primarily indigenous community partners. 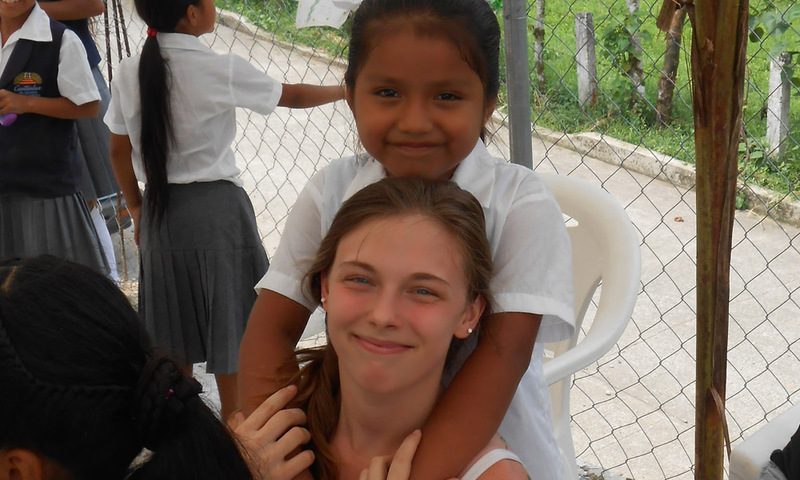 Projects are designed and led by the community and serve as a vehicle for cross-cultural learning. Participants agree that cultural exchange is the primary purpose and most important aspect of the program. As an organization we have cultivated sustainable relationships with our partners that are long lasting; it is important that our participants engage with the community respectfully and honor our partnership. Watch the Voladores performance as they climb up a 150-foot pole, tie their ankles to ropes and “fly” to the ground. Collaborate on community efforts like building a playground for the bilingual school or a chemistry lab for high schoolers. Listen to stories shared by community members to understand why both Spanish and Nahuatl languages are important. Build relationships by sharing stories, cooking or playing games with host families. Reflect on shared experiences with the team and developing knowledge of the community. 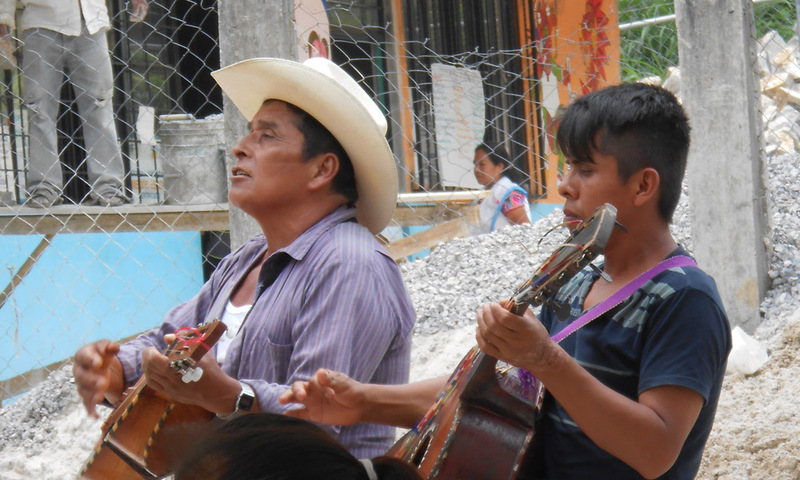 Many past participants have extended their stay in Mexico to explore other enriching activities. While we are not a provider of these services, we may have recommendations and contacts near the site who can assist you with your trip extension. Contact Xperitas for more information. Explore one of the region’s largest indigenous markets in Cuetzalan. See the Great Pyramid of Tenochititlán and view artwork and sculptures at the Frida Kahlo Museum in Mexico City. Enjoy the cathedral in Puebla, named one of the most important colonial cities in Mexico. Contact us to learn more about programs to Xiloxochico. Would you like to subscribe to updates from Xperitas?